Is the most anticipated game of the year one to watch, or should it be thrown to the dogs? We haven’t even seen a second of Watch Dogs 2 yet, and it’s already time to talk about graphics and PC feature compatibility. Woo! Crunchy numbers. 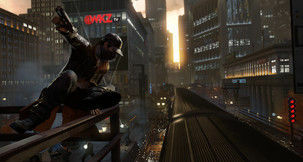 Back in 2012 Ubisoft's cyber spy thriller Watch Dogs raised quite the ruckus at E3, with a very impressive first trailer. It never really lived up to that initial hype, and players were left irritated by apparent graphical downgrades and a fairly tedious story when the game hit shelves in 2014. 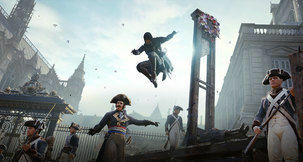 After initial denials by the studio that anything had changed, Ubisoft CEO Yves Guillemot (sort of) admitted at this year's E3 that the company had made mistakes when marketing the game. Finishing off today's round of press conferences will be Ubisoft which begins 3.00pm PDT / 11.00pm GMT+1. There are some delicious morsels on the menu this year with the newly announced Assassin's Creed Syndicate. In the Tom Clancy IP arena we have Rainbow Six Siege and The Division. We're being teased there's a number of surprises from Ubisoft, like another totally rad Far Cry spin-off? 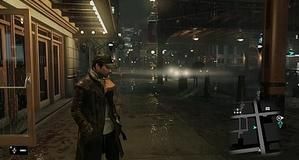 When Watch Dogs was unveiled in a surprise announcement at their press conference at E3 a few years back it exploded onto the scene and let gamers imaginations run wild, but then it released and the bubble popped. Technical problems and accusations of some serious visual downgrades, and even gameplay, left a sour taste for many. Creative director Jonathan Morin partly blames the 'blank canvas' of any new IP. A special webpage for those who own the Season Pass to Assassin’s Creed: Unity is now online where you can take up Ubisoft's offer a free game to compensate for the disastrous launch. Those eligible need only select their platform (the same as the one they own Unity), and then choose between a selection of Ubisoft's latest titles like The Crew and Far Cry 4.